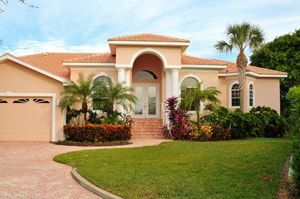 Buying real estate in Tampa (or anywhere in Florida, for that matter) is a major investment of both time and money. Investment properties — such as vacation homes and residential rental properties — can present additional challenges with respect to upkeep, finding and keeping tenants, financial paperwork and more. However, with Bahia International Realty's Tampa Property Management services, you can reap the rewards of Tampa real estate ownership without property management headaches, even when you're absent! More importantly, with our comprehensive and affordable property management plans, you'll enjoy peace of mind that your property will be entrusted to caring, experienced property management professionals. Groundskeeping services including mowing, landscaping, trash removal, swimming pool servicing, etc. If you have special requirements to make your Tampa real estate ownership hassle-free, please ask us! Property Management As You Want It — It's YOUR Choice! Make the smart move now — call Bahia Property Management in Tampa at 813-966-9324, or email us, to discover how property management can be a worthwhile and affordable choice for your Tampa real estate investment. "Bahia Property Management is your best choice among all Tampa Property Management Companies."